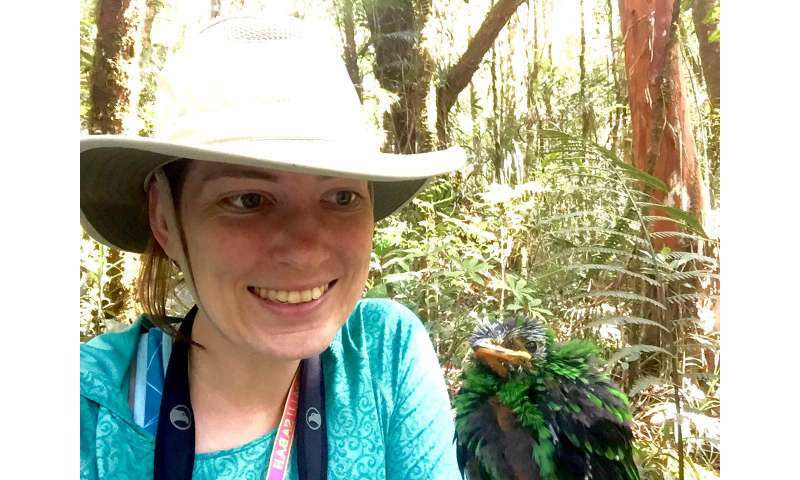 Her research showing that birds on islands have evolved toward flightlessness was published April 11, 2016 in Proceedings of the National Academy of Sciences. Her partners include Christopher Witt of the University of New Mexico and David Steadman of the University of Florida. "The search for general trends in evolution of animal shape, size and color, often comes up empty," Wright said. "Evolution tends to be unpredictable, leading toward different forms in different places. So it was gratifying to discover this trend among island birds." Wright said it is widely known that particular types of birds tend to become flightless after they colonize islands that have no predators. Flightlessness has evolved over a thousand times, but it tends to evolve only from certain types of ancestors—usually birds such as rails that already spend most of their time on the ground. Wright wanted to know whether there are predictable evolutionary trends that apply to all island birds, the vast majority of which can still fly. Like the flightless species on their islands, they generally have fewer predators than their relatives on the mainland. But most species still need to fly in order to find food. So as part of Wright's doctoral research at the University of New Mexico, she focused on how flying birds evolved on islands and whether they exhibit similar changes to those seen in flightless island species. Her team found that flying birds evolved smaller flight muscles and longer legs on islands, just as occurred in flightless birds, but to a lesser extent. On islands with fewer predators, this evolutionary trend toward flightlessness was more pronounced. This trend held for bird species that rely upon flight for finding food, including those representing families of birds that have never had a member completely lose flight, such as hummingbirds, kingfishers and flycatchers. "I would be shocked if a hummingbird or tanager or fruit-dove ever lost the ability to fly entirely," Wright said. "It's central to how they make a living. But these birds are still reducing the size of their flight muscles when relief from predators allows them to do so." Wright and her colleagues examined how well various island characteristics—including island area, overall bird species richness, raptor species richness and the presence of native mammalian predators—predicted changes in body shape in birds. They found that a combination of richness in raptor species and mammalian predators best explained variation in flight-muscle size and leg length, suggesting that predation rather than something else inherent to being restricted to islands has driven the pattern. "Without predators selecting for the maintenance of large, powerful flight muscles, birds can save energy by reducing these muscles," Wright said. "Instead, they develop longer legs as they rely more heavily on leg-powered locomotion. These longer legs may act as a longer lever as the birds jump during takeoff, making up for their smaller muscles." She said takeoff requires enormous amounts of power from flight muscles, particularly when birds take off rapidly to escape predators. If they don't need to escape predators, birds can take off more slowly, depending more upon their legs to jump during takeoff, and reduce their energetically expensive flight muscles. Previous studies of birds evolving on islands focused on body size or other single measurements that might reveal important trends. Wright and colleagues found no overall trends in body size evolution in their study. "It turns out that for island birds, it's important to look simultaneously at the size of the wings and legs," she said. Natural History, began collecting data on flight-muscle size from bird specimens collected in Pacific islands. Over time, Wright, Witt and many others contributed to the effort, and the dataset grew to include over 8,000 specimens from roughly 1,400 species of birds around the world. To include birds from as many islands as possible in this project, Wright measured additional thousands of bird skeletons from museums across the country. "In the end, the labor of hundreds of museum ornithologists over the course of a century contributed to our dataset," Wright said. Steadman notes that, "Bird skeletons from the world's islands continue to enlighten us about evolution. In revealing the reduced powers of flight, these skeletons go a long way to explain the special ways that island species behave differently from their continental relatives." These findings also shed light upon a mechanism for a long-known trend: Island birds, even those that fly, are extremely vulnerable to introduced predators. Many scientists, including Darwin, have remarked upon island birds' seeming lack of fear of predators. This "island tameness" has been suggested as a cause of island birds' susceptibility to predators. The present findings suggest another contributing factor: small flight muscles that reduce the speed of escape. Islands are often hotbeds of evolution because their isolation facilitates genetic divergence from related populations, Wright said. But systematic evolution of smaller flight muscles may make it less likely that island populations will colonize new areas from those islands. 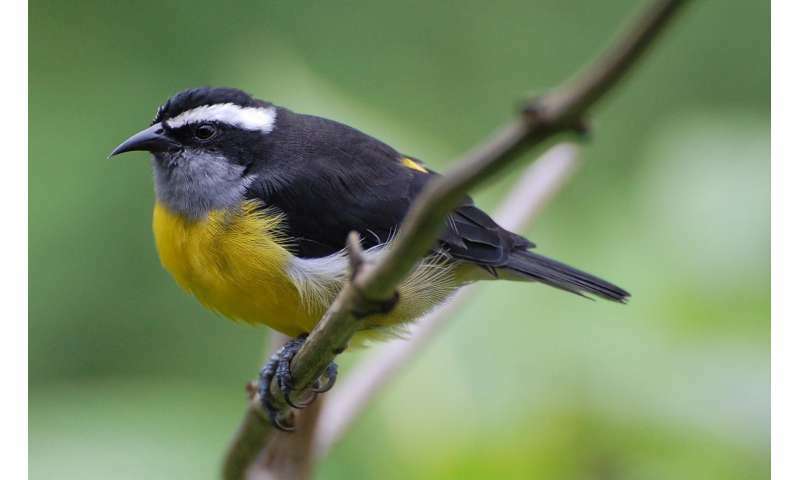 "Island birds are some of the most interesting tips on the evolutionary tree, but this study suggests that ancestors in that tree are less likely to have been on islands themselves," Witt said. "Colonization of islands by a strong-flying species might lead to a flurry of new species that will have diminished flight ability and will ultimately perish. In this way, bursts of branching followed by dieback could be a somewhat predictable cycle on the tree of life."